Knole House in Sevenoaks is an Elizabethan stately home set in acres of beautiful parkland with herds of roaming deer. The house is owned bythe National Trust and is home to the Sackville family. Few visitors to the house, passing the art, furniture and ornament of the Tudor rooms, will have noticed an inconspicuous little portrait that hung for years above one of the doors. Its position and size, ensured it was largely ignored. 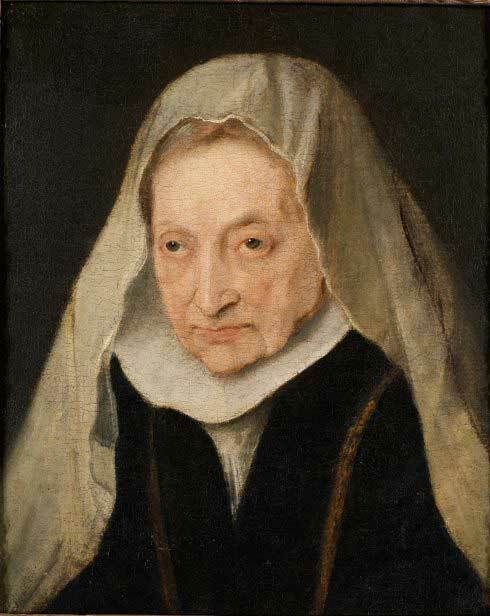 The picture was thought to be of an anonymous unprepossessing old woman. In fact, the lady in question is a great renaissance painter: the splendidly named Sofonisba Anguissola. Sofonisba Anguissola was born around 1532 in Italy. She was the daughter of a nobleman and she became an accomplished artist with an international reputation. At one time she received encouragement from Michaelangelo and went on to have a long, successful career, travelling to Madrid to be court painter to the queen of Spain, Elizabeth of Valois, Phillip II’s third wife. In the 1620s a 24 year old Anthony van Dyck travelled to Sicily with letters of introduction from Peter Paul Rubens. He stayed in Palermo where he produced a series of paintings and managed to avoid the plague. 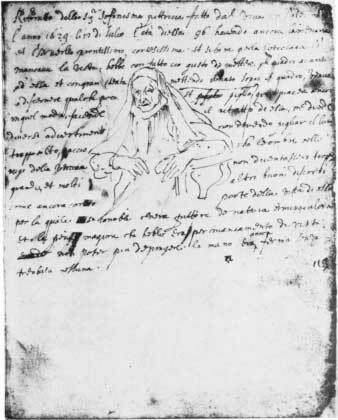 In a notebook from his time there he writes of a meeting with the elderly female painter, Sofonisba Anguissola, now well into her nineties and almost blind. Centred in the notebook, amongst the writing and not much bigger than a postage stamp, he drew a tiny sketch. Relatively recently a connection was made between van Dyck’s notebook sketch and the little portrait hanging above a door at Knole. The anonymous and largely ignored old lady turned out to be a portrait by van Dyck and one of the most important paintings in the collection.